Experience antebellum splendor in this circa 1796 National Historic Register plantation home famed for its mystic and riveting history. Surrounded by centuries-old live oak trees, the mansion features a 125-foot verandah, exquisite ornamental ironwork, hand-painted stained glass, open-pierced frieze work crown molding, Aubusson tapestry, Baccarat crystal chandelier, Carrara marble mantels, gold-leafed French furnishings and GHOSTS. At first glimpse, the home and its environment envelopes one with a complete sense of peace and tranquility. Guided day tours and private tours are offered daily, as well as complimentary self-guided tours of the grounds. Evening mystery tours are offered on Fridays and Saturdays. Advanced reservations are highly encouraged. If you're intrigued by the history, stay overnight in one of our many spacious accommodations. The General’s Store is the perfect place to shop for locally made gifts and souvenirs. 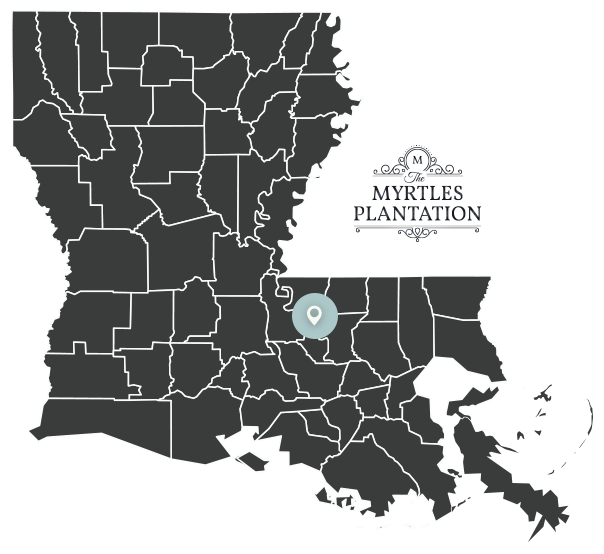 The Myrtles Plantation is located 26 miles north of Baton Rouge and 98 miles north west New Orleans via interstate roads. 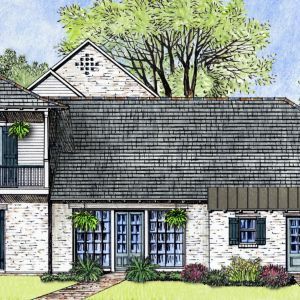 You will want to extend your visit in St. Francisville long enough to enjoy some of the 27 unique shops, 14 eateries, 7 plantation homes, and 14 other attractions which all look forward to the pleasure of your company. Check out our Local Activities page for information about area attractions such as Angola Prison Museum, Cat Island Natural Wildlife Refuge, Clark Creek Natural Waterfalls, False River and The Mighty Mississippi River.